Hard to get started, takes a bit of puffing. The second you pop open the cork top containing the cannagar in it’s glass vial vessel, you get an eruption of dank odors blasting the room with their loud profile. From the sweet, grassy tones of Blue Dream - to the earthy, piney goodness of the Fire OG. And I’m not exaggerating, you pop this open and it was like popping open a jar of finely cured cannabis. I was amazed the glass and cork had been able to contain the aroma. 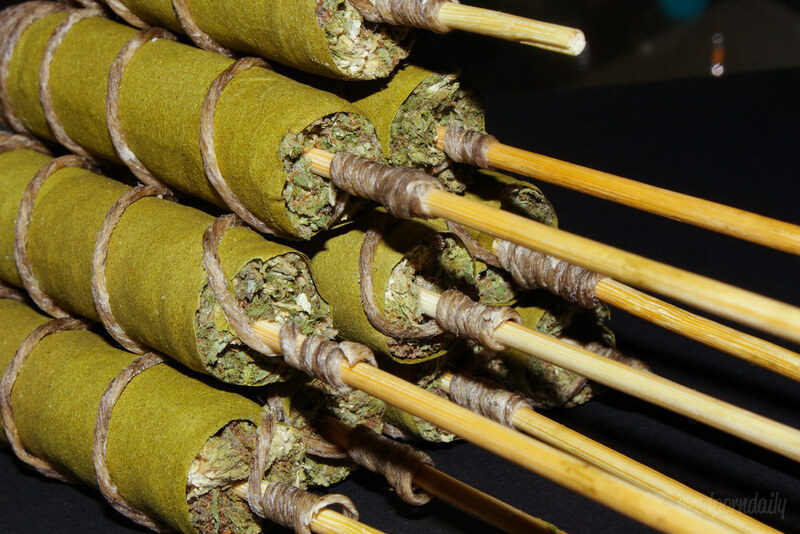 Once you pull the cannagar out, you find it hemp wick neatly wound around the cannagar, and a wooden stick. There’s also an small insert that explains the launch procedures on this THC missile. 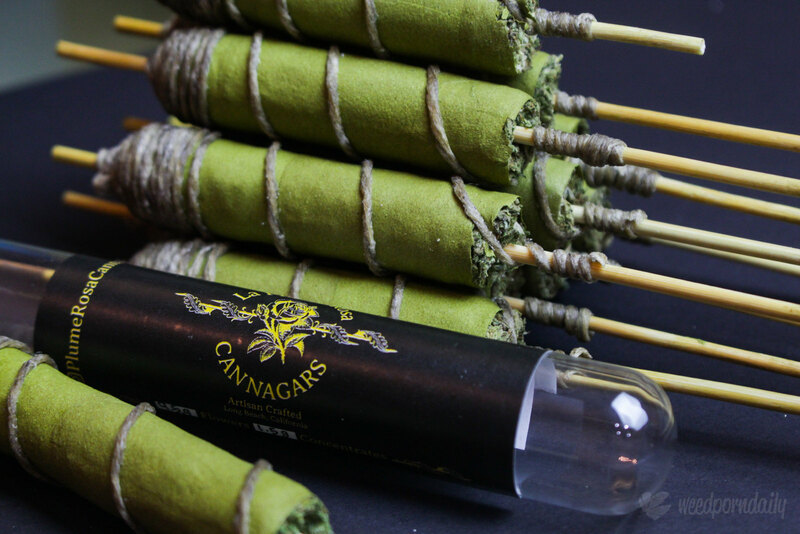 The cannagar itself looks perfectly rolled with a single layer of paper, with little to no seams showing through. The craftsmanship is incredible on it. I was amazed Pluma Rosa crew were able to fit 4.5 grams of weed in there (and that mini slab of shatter!). From the feel of the tightly packed log of nugs and hash, to the perfect hole that pierces through the center of the cannagar's trunk. The only thing keeping this masterpiece from achieving perfection was a dark square patch of hash oil that had begun to seep through the cannagar's paper. Although it was really only a cosmetic issue, since the paper never got close to ripping or feeling weak. And it let me know how much hash was stuffed in this thing — too much apparently. Now I’ve never smoked an actual cigar before, only blunts as thick as one of my fingers maybe. So sparking this bad boy was quite a different experience than simple sparking up, puffing a couple times, and chiefing away. 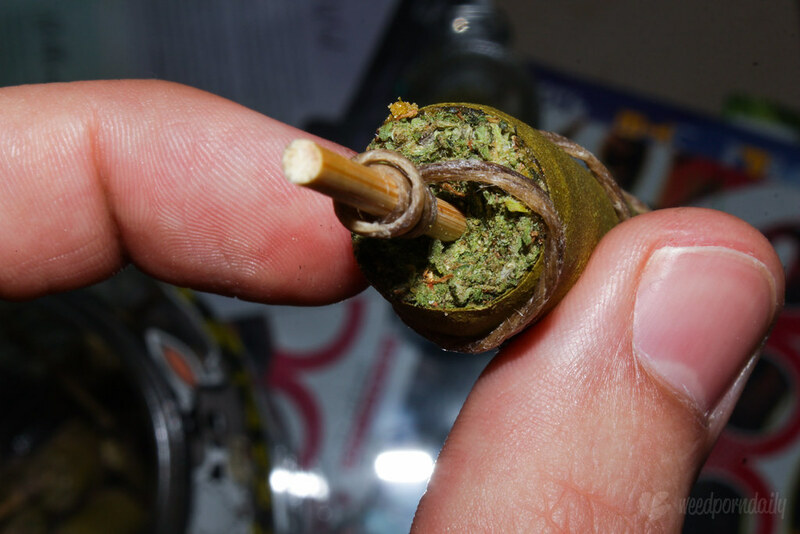 Luckily, the hemp wick that comes wrapped around the cannagar acts as an excellent tool to light your blunts. You can make the flame larger or smaller by tilting the wick up and down, or doubling up on the twine. And it lets you keep your fingers farther away from the flame, unlike a lighter that gets hot quick and burns you often when tilting at weird angles. So the hemp wick definitely made the experience much easier. At the beginning it does take a bit of time to spark up, but that’s the case with any cigar. Once it’s lit, you can put it out and relight it much faster. Once you get this beast of a blunt blazing, it’s a blast. Super smooth smoke that seems never-ending, with a flavor that’s incredibly rich with sweet and earthy flavors. It was one of the smoothest blunt-style wraps I’ve smoked. You could just puff all day and never have to worry much about coughing. And the taste was stellar, you really got a sense of the plant’s profiles through the classic blunt back-end. The only thing that could have been improved in the smoking department was the amount of air in the hit. 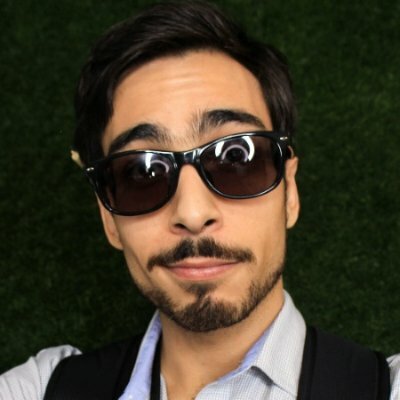 Since the hole is so big, you get less smoke and more air in your hit. Which probably makes it smoother, but also makes it harder to get a good puff going on it. After burning down a quarter inch of the cannagar, you’re ready to roll. The high from the sativa dominant Blue Dream, and the energetic side of the Fire OG, really take hold of the experience. You feel empowered and ready to take on the day. This is a mix I’d highly recommend for someone looking to get the benefit of cannabis like pain relief, and still have the energy and clarity of mind to have a productive day. It really makes you feel like a boss when you can pass around a cannagar with the homies and then blast into the next meeting sharp as a stone. It took a while to take down this dank behemoth. But after 2 weeks, 2 sessions (with 5 heads), and a week exclusively to the face — we conquered the Plume Rosa cannagar. It lasted longer than I expected, and I was amazed after every smoke session how little we’d been able to burn down. I was incredibly satisfied with a multitude of aspects. The cannabis that was sourced to stuff this cannagar was top shelf. The thai-stick style rolling technique yielded a finely crafted end result. And the smoke and high were phenomenal, great for a ganjapreneur who needs classy cannabis to smoke with clients. 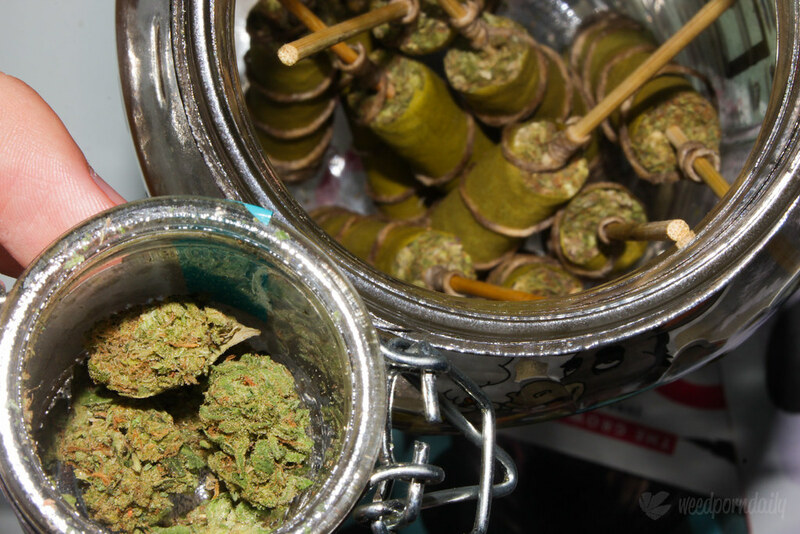 The thai-stick cannagar by Plume Rosa gets a 9/10 in our books. It’d be perfect if we could get a slightly denser puff.